For Work For Love is a commission by Workers for Art in Kent. 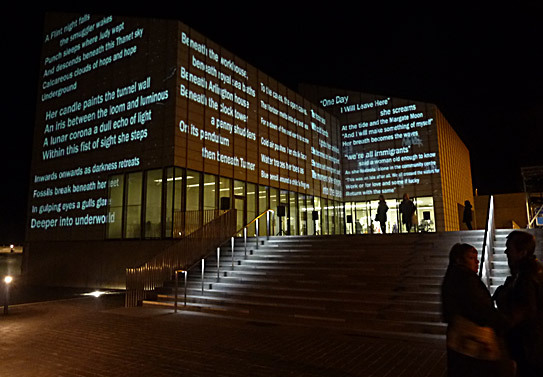 It was displayed in light for three evenings on Turner Contemporary in Margate from January 26th 2012. A storm of black seagulls race across the gallery into the night. They are followed by a flock of words that settle in lines and become the poem. It’s the first ever projected light on Turner Contemporary Art Gallery.